Part 15 in our series A to Z Considerations for Seating & Wheeled Mobility: A Quick Reference Clarifying Confusion Around CRT. See Part 1, Part 2, Part 3, Part 4, Part 5, Part 6, Part 7, Part 8, Part 9, Part 10, Part 11, Part 12, Part 13, and Part 14. Last week we discussed scooter/power-operated-vehicles, and went over whether this type of device would accommodate your client’s unique needs. If you realized that a scooter/POV is NOT the appropriate mobility device for your client, then the next rung on the insurance ladder is a Group 1 power wheelchair. Remember, we must continue to climb the ladder and continue to rule-out the least costly options in order to get the correct equipment covered for your clients. What exactly is a group 1 power wheelchair? When it comes to groupings of power wheelchairs, these are separated out based on the various features offered on that level of chair, i.e. 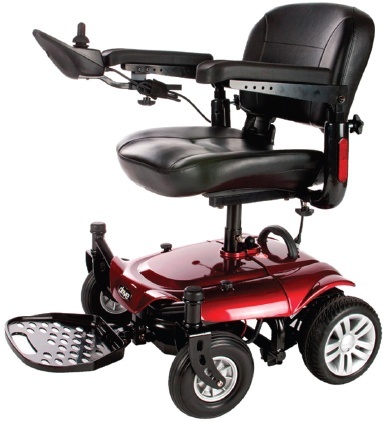 speed, stability, outdoor driving capability, power seat function capability, ability to mount complex rehab seating, etc. 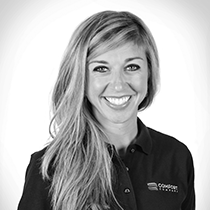 Are NOT appropriate for navigating clients’ homes due to a large turning radius and lack of maneuverability. Offer the slowest speeds and least amount of stability in both the base as well as the seat itself. Exist for driving on indoor level surfaces at slow speeds. Have an increased risk of tipping over on uneven surfaces due to lack of stability and poor suspension. Have a seat mounted on a single post, resulting in a great deal of vibration and movement within the seat itself as well as adding to the “tippiness” of the wheelchair. *Remember, to be covered by Medicare, the device must be required for use WITHIN the home. Since these chairs offer no ability to mount any type of rehab seating, there is no ability to assist with postural stability, positioning, or skin protection in a Group 1 power wheelchair. So, if your client has any kind of postural abnormality OR a history of or current pressure injury, this is not the appropriate choice. In addition, Group 1 power wheelchairs cannot accommodate any type of power seat function, such as power tilt or recline, or any type of alternative drive control system, such as a switch or head array. A standard joystick is the only option for drive control for this level of power wheelchair. Considering these limitations, make sure to consider your client’s prognosis. Is their condition going to deteriorate over time? If yes, then a Group 1 is not the right choice, even if it seems to be all they need in that moment. It’s also important to see how your client sits and uses the wheelchair at the end of the day. If her posture deteriorates throughout the day and it impacts function, she may need Rehab Seating in a Group 2 or higher coded power wheelchair. Group 1 power wheelchairs are intended to be portable as the seat can be removed/separated from the base and loaded into a trunk or van. However, the base is still rather heavy, somewhere between 50-100lbs depending on the manufacturer. Most clients who need these devices are certainly not able to lift this amount safely, and, in my opinion, family members and caregivers trying to lift this load repeatedly are also unsafe or may even find it impossible. Additionally, the fact that the wheelchair can be separated effects its quality and durability; that the power wheelchair can be broken down invites the power wheelchair itself to breakdown. As always, our clients lifestyle, values, and daily activities, as well as their physical status, must be considered in our clinical evaluation. 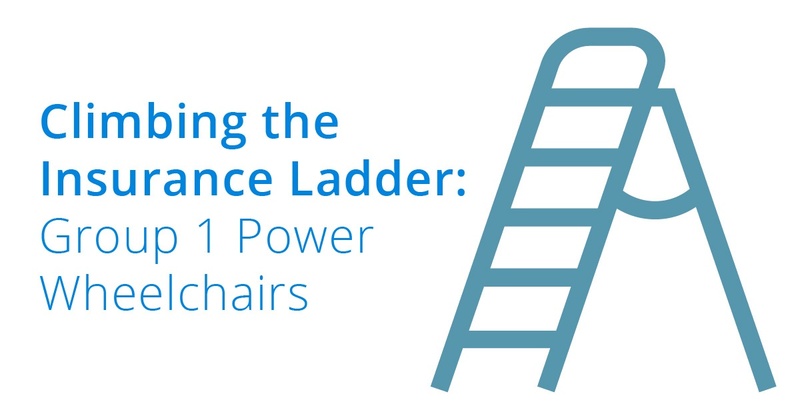 This helps us determine when to keep moving up the ladder of mobility options. Join me next time to look at the features of a Group 2 power wheelchair, for clients who need a little more support and intervention.